TAKE5 gives you an update on the latest Meetings, Incentives and Business Travel related news. It contains short and to the point information on venues, people, happenings, lifestyle and general news that cannot wait to be told! BBT Online guarantees you 15 new ideas in just 3 minutes. Enjoy our 61st edition. 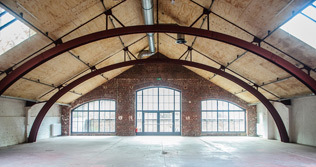 La Tricoterie is new multifunctional venue in St. Gillis (Brussels), dedicated to culture and private, corporate and socially responsible events. It will be officially opened on 6 March. Theatre shows, biological markets, public sales, concerts, expositions, debates, meetings: it can be used for a variety of different activities, but most of all it’s a place where local people can meet and talk. It’s a sustainable project as well: bio & slow food catering, eco-friendly cleaning, promoting alternative means of transport, you name it. La Tricoterie is a new hotspot in Brussels to keep an eye on. Not far from La Tricoterie lies the venue The Egg. The Egg is based on the site of a huge post-industrial building of more than 14,000m², strategically located close to the TGV Brussels Midi Railway Station. On the ground floor of around 10.000m² there is an open reception area with cloakroom facilities, a parking lot for visitors, a large patio, meeting rooms, a recording studio, an auditorium, an exhibition hall, a projection room, a unique place for lunch debates and soon a hip café-restaurant. The Egg is a venue dedicated to creativity and innovation, hosting the MICE industry, art exhibitions, start-ups, labs, cultural events and more. Spend the night in a correction house! Bubbles & Chocolate lovers (read: everyone) rejoice! Alex & Alex can now offer an incredible new location to organise their famous tasting events. On the marvellous Grand Place in Brussels, on the third floor of the building next to the Roy d’Espagne, a wonderful apartment can be rented for events of up to 30 people, offering the most magnificent view over Europe’s prettiest square. Alex & Alex work on location as well. They can organise a tasting event wherever you want one. Hotel The Lodge Vilvoorde is a trendy 3-star hotel in the centre of Vilvoorde, just 8 km away from Brussels Airport and 10 km away from the centre of Brussels. - The popular Blue Buddha Beach Club will reopen on 15 March, right in time for spring! The Blue Buddha is an Ibiza style beach club with a nice tapas & cocktail bar. The venue can be privatized for events. - Cuiness, 33 (comma included) is a brand new restaurant run by three young chefs, perfect for a surprising business lunch. 3 C’s are crucial for the concept: Cosmopolitan, Contemporary and Conceptual. Cuiness, 33 offers a menu with international influences, based on seasonal products only. 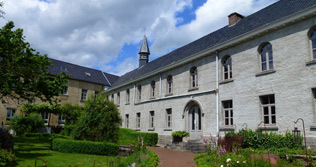 In Bever, a little village bordering the Flemish Ardennes, you’ll find Rosario: a former cloister refurbished into an oasis of peace and relaxation, where you can stay as an individual, a group or a company. You’ll have dinner seated at the long cloister table. The food is made with biological and fair-trade ingredients only. You can also organize courses, concerts or presentations here. The entire venue can be privatized, from the library and the meditation room to the wonderful chapel. Looking for a truly special place to organise a dinner? We might have found just what you need. In Philip’s former energy building in Eindhoven, Holland, a restaurant was opened. The entire hall was of course renovated to be able to house a nice place for dining, but the touch and feel is still authentic: 1,300 m² of impressive industrial design. The food is a mix of French and German cuisine. Since the venue is so massive, it can of course cater to a large group. Last month, a new icon on the London skyline opened its doors to the public. The Shard ­– the tallest building in Western Europe – will offer visitors a whole new perspective on the English Capital. The viewing platform is 224 meters up from the ground and offers a 360° view of more than 64 km on a clear day. Before entering the lift, visitors pass through a multi-media experience, full of background information on London’s History. On the platform itself, Tell:scopes (high-tech, interactive telescopes) give you information in real life while you zoom in on parts of the city. 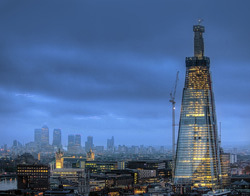 The shard will also house a new Shangri La, several restaurants and ample space for corporate events. Are we the only one thinking it kind of looks like Sauron’s tower from Lord of the Rings? In search of a fun and weather-proof incentive experience? Why not organise a countryside rally in 2cvs with The Good Time Company? They can let you drive these iconic little cars through the beautiful landscapes of the Ardennes, Luxembourg of France. Are you looking for a more physically active incentive activity, but do all those hills look a little daunting for a bike ride? The Good Time Company can help you here as well, sporting the largest collection of e-Bikes in Europe. You’ll still need to peddle, but the bike’s small engine will help you go the extra mile. “This book is going to change the way we design and think about meetings.” This is one of the first readers’ comments about ‘Into the Heart of Meetings’, a book that saw the light in January. Authors Eric de Groot and Mike van der Vijver take a fresh look at meetings as a form of communication and analyse ways in which meeting programmes can be improved. Both authors base their writings on years of working as professional meeting designers themselves. As a result, they’ve produced both an explorative study and a textbook full of practical examples. The book can be ordered for €28,50 at www.bol.com. Looking for new, off-the-track destinations for meetings and incentive groups? Why not Slovakia and its capital Bratislava! 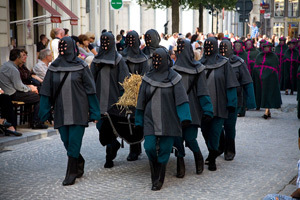 Slovakia is considered to be to a rising destination in the next years. It is well-accessible and has rich heritage (hundreds of castles, churches and medieval towns), warm friendly people and a varied, beautiful and unspoiled natural landscape. Bratislava with its two international airports (Vienna International and Bratislava-airport) is easily accessible from Benelux countries. Enjoy Slovakia DMC was established in 2003 and it is a leading DMC in Slovakia, combining local knowledge and international background. It is managed by a DMC Certified Professional as the only company in Slovakia. If you’re interested in discovering this beautiful country, you can meet them on our next 4D workshop on 22 April as Slovakia will be one of the 4 destinations! BBT Online’s Jonathan Ramael visited the ASEAN Tourism Forum 2013 in Vientiane, the peaceful capital of Laos. On the fair, the ten Southeast Asian countries forming ASEAN presented themselves to the world. Jonathan came back with a list of the most interesting new venues and projects. Most of all though, he came back with a good impression of the city and of what’s happening in the country. 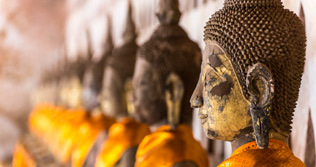 Click here to read what he learned on ATF, and to get a quick overview of what you should do and see when in Vientiane. Don’t miss next month’s Take5+, where he’ll delve deeper into the city, following the lead of the friendly guys of ‘MICE People’: Laurent Granier, laurent@mice-people.com a young French DMC based in the capital. Body language is a crucial part of most communication. It makes some people look naturally self-confident and capable. Some other folks make less positive impressions, while they might be saying the exact same thing. Needless to say, it’s an important part of your communication, privately as well as professionally. But how can you improve your use of body language? How can you learn to interpret certain signs other people give unconsciously? Following a course with ‘Inspire To’ would certainly be a good start. Dana Ketels is an expert on body language, and she gives coaching, training and team coaching sessions on the subject. A perfect occasion for a body language analysis was Lance Armstrong’s recent interview with Oprah. Clilck here to check out Dana’s view on the interview. You can order a two month e-course on body language for free on her website: www.inspireto.be. In nine years, the Association Congress grew to become one of Europe’s most authoritative educational programmes, with a proven track record of delivering high return on investment for delegates. 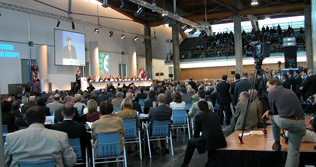 This year the congress takes place in April, 21 – 23, in the Estoril Congress Centre just out of Lisbon, Portugal. Early booker registration is currently available, saving you up to €115 on the full registration rate. If you combine this with the 3 for 2 offer, you’ll save even more. For full info and registration details, please visit this page. BBT Online is the congress’ media partner for the Benelux. During his speech on the annual New Year’s drink, BHA’s president Fred De Deken, spoke some hard-hitting truth. The hotel industry in Brussels provides 12,500 jobs, and despite of the occupancy rates going up with 1,2%, the total turnover of the sector dropped by 1,3%. Belgium is ranked last in the European gross operating profit per hotel room. The labour costs are much too high, and other costs like water, energy and raw materials are also rising significantly. Recruitment is a problem as well. Every year, 350 trained employees could be recruited by the sector, but only 150 candidates per year are available. With an unemployment ratio of 22% in the capital region, this is absolutely unacceptable. The counterproductive tourist taxes are also not in favour of the hotel industry. These should be fairly harmonized by the government. Despite the issues, BHA still believes in Brussels as a destination, and in the future of its tourism industry, but it is imperative for the authorities to stop treating tourism only as a new ‘Eldorado’: taxable and exploitable to the limit. It is a sector that needs investment: to continue creating jobs and to ensure the economic and social development of the region. • 7 and 14 March, Erasmus University College, Brussels: Masterclass International Meetings. Hugo Slimbrouck, CEO of Ovation Global DMC, gives two interesting lectures on the organisation of international meetings & business events. www.erasmushogeschool.be/masterclass-international-meetings. • 11-13 March, Radisson Blu Astrid Hotel, Antwerp: Site EMEA Forum 2013. On this 3-day forum, motivational events professionals will gain insights from thought leaders, build their business connections and get an inside look at the beautiful city of Antwerp. Invited speakers include: Herman Konings, Koen Gonissen and Cyriel Kortleven. www.siteemeaforum2013.com. • 14 March, Expo Haarlemmermeer, Vijfhuizen: EvenementContact. A trade fair bringing three separate industries together: events, entertainment and MICE. www.branchecontact.nl/evenementcontact. • 15 March, Expo Haarlemmermeer, Vijfhuizen: FestivalContact. A no nonsense trade fair for suppliers and buyers on the public event market. www.branchecontact.nl/festivalcontact. • 23-25 April, São Paolo, Brazil: World Travel Market Latin America. The leading global B2B event for the Latin American Travel Industry, focussing of course on this region and inviting the rest of the world to take a good look.www.wtmlatinamerica.com. • Site Netherlands and Rotterdam Marketing have announced that the annual Site Global Conference 2014 will take place in Rotterdam. • MPI released the December 2012 Business Barometer report last month. Main focus points are: budgets continue to rise at a slow pace, the corporate sector has made extremely short lead times de facto business practice and remote access to meeting content ­sees growing popularity, as does the use of new technology. • L’Envie de Kooza is a partnership between L’Envie Fine Food Catering and Cirque du Soleil. 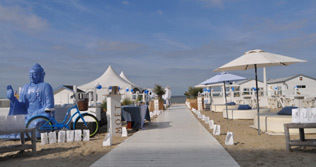 Attend Cirque du Soleil’s newest spectacle in Knokke-Heist in a real VIP salon, enjoying the best possible food and drinks. From 18 July. http://vipkooza.weebly.com. • Often melancholic about the days when John Travolta was just crazy and not sad, fat and crazy? Relive those days now! At the end of this year, Music Hall brings you ‘Grease: the Arena Spectacular’ in Vorst Nationaal! You can book special VIP Packages on the Music Hall site, to make the experience even more exclusive: www.musichallgroup.be. • Always mind your manners, men! Courtesy is still very important to women, says a study done by ‘VROUW’. 98% of surveyed women agreed society could improve on its manners. Offer a lady your arm, hold a door once in a while: it’s all still relevant to make a good impression. Interesting fact: most women also agree their own gender could be more polite towards men. Everybody wins! • Kosice, Slovakia’s second largest city, was named European Capital of Culture in 2013. Home to the majestic St. Elisabeth’s Cathedral and birthplace of writer Sandor Marai, it’s a haven for culture lovers. A new art gallery and several art projects will strengthen the attraction of Kosice as an important destination in Slovakia. 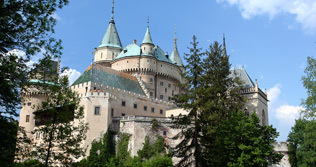 Slovakia is one of the 4 destinations on our next 4D-workshop on 22 April. Save the date! • Euromic announces the induction of two new member DMCs, as well as the launch of a redesigned website. New members are Great Britain’s ‘Travel Places’ and Belgium’s ‘Event Masters’. www.euromic.com. • Always dreamed of holding an event in the midst of colourful fish or - why not - hungry sharks? Well, you can realise this dream starting 22 March, when a new attraction opens its doors in Copenhagen. ‘The Blue Planet’ is an impressive new aquarium that not only offers a full range of magical experiences, but also provides a unique setting for every event. • As always, 17 March means it’s time for St. Patrick’s Day. This year, the party will be even bigger, on account of ‘The Gathering Ireland’: a full year of events and parties. For the first time ever, 8,000 people will get a chance to join the People’s Parade, a procession through the streets of Dublin watched by millions of people worldwide. • Dolce La Hulpe Brussels opened a new restaurant, called Brasserie 135. Chef Pascal Martin’s approach is based on local, seasonal and biological products. The name is not only based on the address of the place, all products used are imported from no more than 135 km away. A nice green touch indeed. • A new hotel was opened in Amsterdam: The Andaz Amsterdam Prinsengracht Hotel. The name kind of gives it away: it’s located right next to the famous Prince’s canal. The hotel has 122 rooms and outside you can experience the cultural scene and spirit of the lively Jordaan district. More info on www.amsterdam.prinsengracht.andaz.hyatt.com. • Worldhotel Grand Winston is the first hotel in The Hague to introduce a special room for female business travellers. • Sofitel Luxury Hotels opened its first venue in Casablanca. The Sofitel Casablanca Tour Blanche can be found in the city’s business district, close to the gigantic Hassan II mosque. 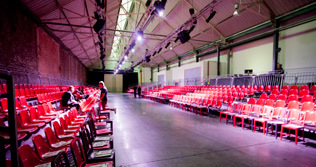 The venue was designed by Patrick Génard, a Belgian architect. Displaying a high degree of ingenuity, he successfully combined pure styling and Moorish ornamentation. • It’s clear that pop-ups are becoming very popular these days. Mark it in your agenda: from 21 March till 20 April 2013 an old bank in the heart of Brussels (Espace Chambon, Wolvengracht 48, 1000 Brussels) will transform into the Cointreau Fizz Garden. Every Thursday till Saturday, starting from 6.30 pm, a playful music programme with lots of surprise acts unfolds while guests can personalise and invent their own cocktails. Isn’t spring a lovely season? More info soon on www.cointreaufizzgarden.be. • As of 18 June, Brussels Airlines offers 5 direct flights per week from Brussels Airport to Washington Dulles. This will provide travellers coming from Brussels with a perfect gateway to the rest of North America, since connections in Dulles are excellent. • Thai Airways will add an additional flight from Brussels to Bangkok between 17 February and 15 April. The extra flight will take off every Sunday. The existing flights on Tuesday, Thursday and Saturday will of course not be changed. • Patrick Culot of BTS Travel Brussels/Liège chose to integrate ‘Incentive Destinations’ in its MICE department, completing his meetings/congress team. 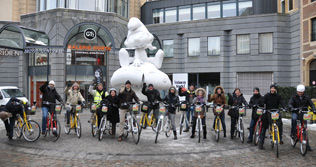 Led by Claire Massart, the Brussels/Liège MICE department now employs 7 people. This new team will work together with the BTS Travel incentive team in Antwerp led by Monique De Wit. Leentje Van Nuffel (ex Thomas Cook) was committed to the position of Commercial Manager Incentives for the BTS Travel Group. • Brigitte Van Vlierden decided to quit her job at Way2events, and started an incentive and group travel agency of her own: ‘B-ways’. www.b-ways.be. • Didier Schmidt (ex-GM of ‘In Search of Excellence’) recently started working at Uniglobe Smart in Ghent. He is their ‘Travel Butler’ for holiday travel, à la carte travel, cruises, airline tickets, events and incentives. • Jean-Louis Van Aelst started at Master Events, after Ycare, the previous company he worked for, was declared bankrupt. • Georges Rivel will retire as Managing Director of HRG Belgium. He will be replaced by Alain Depauw. • Linda van Pottelberghe started a new carreer at Maasmechelen Village as Business Developent Manager. • Eric van Dalsum (GM Crowne Plaza Brussels Le Palace) returns to his first love Rezidor. Last month, he became the new GM of Radisson Blu Nice, on the legendary Promenade des Anglais. • Starting 1 March, Dominique Raguis will quit her job at Tellus. She will represent Forte Village in Sardinia and Castel Monastero in Tuscany on the Belgian MICE Market instead. • Roger Scheurs of Loco Enzo has been elected on the 18th of February as the new president of Site Netherlands. Awa Sow, Manager, CTA Incentive, www.cta-incentive.com. 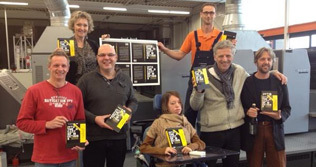 Brigitte Van Vlierden, Owner, B-Ways, www.b-ways.be. Jan Klaps, CEO, CSI International, www.csi-international.be. 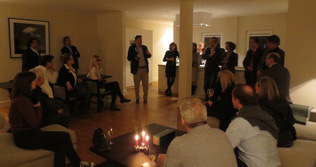 John Keyser, Owner, Fly & Sail - Sailing Events, www.flyandsail.be. • This month’s something funny requires some personal action. Red Nose Day (Friday 15th March) is part of Comic Relief, the BBC’s annual fundraiser to combat poverty. It’s your turn to be funny now, and raise money while you’re at it! Perform a song, wax your chest for a bet, let your colleagues pay you to dress up like a clown at work, it doesn’t matter what you do, all small efforts make a difference!